Here are the top 8 misconceptions about telepharmacy and the truth behind each. Trust us, nobody wants to see bodies in the street. Telepharmacy has actually been proven safe and effective through research! The NDSU telepharmacy study showed that a telepharmacy has a lower dispensing error rate than the national average for a traditional pharmacy. At first glance it may appear that a technician is working alone and unsupervised at a telepharmacy. In actuality, pharmacists maintain full supervision over technicians--just remotely. 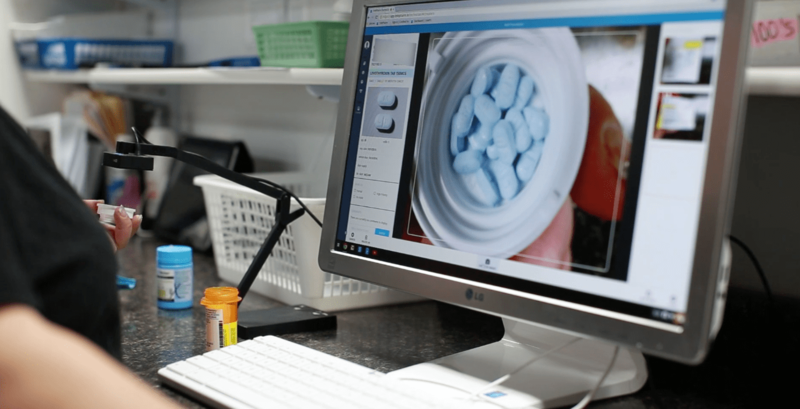 Through HIPAA compliant audio/video technology the pharmacist is able to oversee the technician’s work and perform every step of the dispensing process from data entry & filling, drug utilization review (DUR), to final product verification and counseling. No medication is dispensed or leaves the pharmacy without the approval of the pharmacist just as you would see in a traditional pharmacy setting. The scope of practice for both the pharmacist and technician and the standard of care have not changed with the addition of telepharmacy. The only thing that changes is the patient gets better access to a pharmacist than they had before. See, no dead bodies! Now, if only we could prevent those papercuts that everyone gets from opening prescription bags. On the surface it may appear that telepharmacy reduces the need for a pharmacist on-site and subsequently decreases pharmacists jobs. I have news: telepharmacy actually increases jobs! You can exhale, because at least for now, the robot overlords can be kept at bay! Pharmacists are a vital component of a telepharmacy and the telepharmacy cannot operate without them. By law, a pharmacist is still required to provide the oversight of the technicians staffed at the remote site and conduct DUR checks, final product verification and counseling. For many states, mandatory counseling regulations in telepharmacies provide a higher level of care than is seen in a typical pharmacy. In areas plagued with minimal to no access to pharmacy services, opening a telepharmacy introduces a pharmacist where there was none before thus creating more jobs rather than reducing them. Think about it this way: every pharmacy that closes is a loss of a pharmacist job. According to a recent study, 16.1% of rural independent pharmacies have closed their doors over the last 16 years. Telepharmacy can be used to keep pharmacies open and retain jobs. Remember the NDSU study on the safety of pharmacy? That same study showed it also created 80-100 jobs, spurring over $26 million in economic development for the local & state economy. Need more proof? Telepharmacy also opens up other career opportunities for pharmacists, allowing them to boldly go where no pharmacists has gone before! Telepharmacy opens the door for pharmacists to connect with patients in new ways by opening convenient on-site telepharmacies in urgent care centers, behavioral health facilities and HIV clinics, to name a few. Granted, there is a pharmacy on MOST corners, but a growing amount of the population live in what is considered a pharmacy desert; and if we asked these patients, improved access to a pharmacy is a BIG deal. According to RUPRI, there has been a steady decline in the number of pharmacies in rural America. In many communities, pharmacies act as a cornerstone for health services and, with these pharmacy closures, patients are experiencing reduced access to healthcare. Even the National Community Pharmacy Association (NCPA) sees the value in improved access through telepharmacy. "Telepharmacy can help bring back pharmacy services to areas that are underserved, such as rural areas." - Lisa Schwartz, Pharm D, senior director professional affairs, NCPA. It might be shocking to discover that people living in urban areas also experience reduced access to pharmacies, as evidenced by the findings from a University of Chicago Illinois study. These specific areas or “urban pharmacy deserts” are defined as low-income communities with no pharmacy within a half-mile for those with limited vehicle access or one mile for those with adequate vehicle access. According to the study, nearly 1 million people in the South and West sides of Chicago live in these urban pharmacy deserts and coincidentally have a higher minority and low-income population. Did you know? 50% of our overall healthcare costs come from 5% of the population? Findings from the study showed that the lack of accessible pharmacies in these areas could contribute to the disparities in healthcare seen throughout Chicago. This notion can be similarly applied to other cities in every state across the nation. So yes, that includes Boston, Detroit, New York City, Los Angeles, San Francisco, etc. Even Punxsutawney, which has 5 pharmacies and plenty of groundhogs, might have urban pharmacy deserts. Telepharmacy is a solution to help provide improved access to better healthcare in pharmacy desert areas, whether it be rural or urban. Perhaps then the saying “there is a pharmacy on every corner” will be more true. We’ll have a bigger problem on our hands if the cartel decides that low-volume telepharmacies are their new target (hopefully they aren’t reading this blog). In reality, drug diversion is a concern for any pharmacy, not just telepharmacies. There are many additional rules and regulations in place for telepharmacies to help prevent and reduce the risk of drug diversion. Most states have strict requirements for who can work in a telepharmacy; some require pharmacy technicians to be certified while others may require minimum standards for previous work experience. In many states the Pharmacist In Charge (PIC) is required to inspect the telepharmacy site in person and on a regular basis (weekly or monthly) to verify orders and reconcile perpetual inventories for controlled substances. Telepharmacies typically store lower inventory amounts and can restrict what medications may be dispensed. For example, a few states do not allow telepharmacies to stock or dispense controlled substances, making them even less of a target for cartels and their pharmacy technician henchmen. Lastly, perpetual inventories, continuous HD-camera supervision and recorded video retention help provide that extra layer of security which makes it a lot easier for supervising pharmacists, state boards and the public to sleep better at night. The practice of telepharmacy dates back to 1928 with the Royal Flying Doctor Service of Australia; that’s almost 100 years ago! This service utilized planes to provide healthcare to people living in rural, remote areas in Australia. Stateside, telepharmacy started in 2001 with the North Dakota Telepharmacy Project. With the overwhelming success of the project, the North Dakota Board of Pharmacy permanently allowed the operation of telepharmacy in the state in 2003. To put that into perspective, Facebook launched in 2004 and the first iPhone came out in 2007. Is anyone saying that Facebook or the iPhone is “new”? The US Navy, which first implemented telepharmacy in 2006, is currently the largest user of telepharmacy in the country providing pharmacy services to over 100 sites worldwide. Currently, telepharmacy is permitted in 23 states with hundreds of telepharmacies across the United States in operation today. Don’t be fooled! The interest in telepharmacy is definitely there; and, with legislative and regulatory efforts, that number is increasing every day! News flash--technology isn’t stopping! Technology is enabling change all around us and telepharmacy capitalizes on that by making the delivery of pharmacy services more accessible. After all, we are a society that has come to rely on automated technology. In fact, more than 75% of respondents from a Gallup survey reported automation has a "very" or "mostly" positive impact on their daily lives. Yet pharmacists and patients alike can be apprehensive about embracing the concept of telepharmacy. Pharmacists may be hesitant to incorporate developing technologies into their daily practice and patients, particularly the elderly, may be initially intimidated by telepharmacy for fear they may not know how to use the technology. But rest assured, telepharmacy utilizes many forms of technology that people use on an everyday basis such as video chat, touch screens and instant messaging. The relationship between pharmacist and patient is still face to face, just across a screen; and because telepharmacy software is very intuitive and easy to use, both pharmacists and patients report no difference in experience or service. Don’t believe it? According to Ibrahim Abu-Arqoub, director of specialty pharmacy operations for Aurora Pharmacy which currently has 21 telepharmacy locations in operation, patients and providers of his clinic were initially skeptical of telepharmacy, but he says, “the negative reaction usually wears off when they find that the telepharmacy actually provides all of the services that they expect from a regular pharmacy. We did a marketing survey with our patients and they actually ranked telepharmacies better than traditional pharmacies”. Did you know that other healthcare professions utilize telehealth technology to diagnose and treat patients and have been doing so for years, even since the 1940s? This is one area where pharmacy is severely behind. Doctors, dentists and even some specialties are providing healthcare services through telemedicine and many states have already adopted telehealth language to do so. Therapists, for example, use telecommunication to provide counseling and therapy sessions for their patients. In acute settings patients can simply stop by a local clinic (sometimes within a grocery store staffed by only a medical assistant on-site), be diagnosed and then treated for things like the flu, UTIs and other self-limiting infections. Telehealth can be a convenient and affordable option for patients and in some cases, just like telepharmacy, may be their only option for accessible health care. Isn’t there an old adage that says competition is healthy for business? At least that’s what the supporters of physician dispensing and mail-order have argued for years. Whether you believe it does or not, pharmacists are a vital part of the healthcare community and are among the most visited, trusted and ethical healthcare professionals. Pharmacy jobs are clearly here to stay. The truth is, there are millions of people living in rural and urban pharmacy deserts across the United States who could benefit from the addition of a telepharmacy in their community. Additionally, medication adherence is a continued concern among healthcare professionals and studies show that only 50-70% of prescriptions arrive at the pharmacy and a smaller percentage are actually picked up by the patient. It can only be assumed that the percentage of prescriptions picked up decreases the farther a patient lives from the pharmacy. Telepharmacy is a tool to help increase pharmacists’ reach to patients and benefits medically underserved areas and rural communities that do not have the patient volume to support a traditional pharmacy. Instead of viewing this as unfair competition, current pharmacy owners can utilize telepharmacy to expand their existing business into medically underserved areas to reach more patients. The FTC agrees (check out their statement here), and one could say that not allowing telehealth services is a true FTC violation. Any competition telepharmacy happens to create is beneficial to those who matter most: the patients. The proof is in the pudding; telepharmacy introduces more jobs, increases the number of options available to patients, improves health outcomes and reduces healthcare costs without compromising the scope of practice! Don’t be afraid! Telepharmacy is not something to fear, it simply makes pharmacy more accessible and can take the profession to the next level by utilizing some of latest technologies that we already use everyday. Technology has been bringing people closer together for decades now, and it's only appropriate to use the same technology to bring patients closer to their pharmacists, all while maintaining a high standard of care.